Designers Johanna Vainio and Merja Seitsonen were brought together by a straightforward punk attitude––a no-nonsense approach to the unknown borders between fashion and art. Graduating from the University of Art and Design in Helsinki at a time of low employment in the mid-1990s, the duo decided to be proactive. Rather than wait for buyers, Vainio and Seitsonen with a handful of other designers founded a contemporary Finnish fashion store Liike in the year 2000. Liike was one of the first of its kind in Finland to introduce a fashion establishment that sold designer clothes with the designers present. Sales of the store are divided between the designers. Having realized that they could actually work on similar concepts and ideas together rather than as separate designers, Vainio and Seitsonen started launching collections at multiple international fashion fairs since 2002 as a design team Vainio.Seitsonen. “We avoid pretentiousness and acknowledge the role of the unplanned in the design process”, they describe the style of Vainio.Seitsonen. Direct, feminist approach relying on exclusive fabrics and sharp cut are characteristic of their collections, which have been on display in showrooms around Europe. Sustainable production of the clothes and zero waste policy are also important to the designers, as is the classic, timeless look that prolongs the lifespan of the clothing – though never void of character, intriguing proportion and selective color combinations. 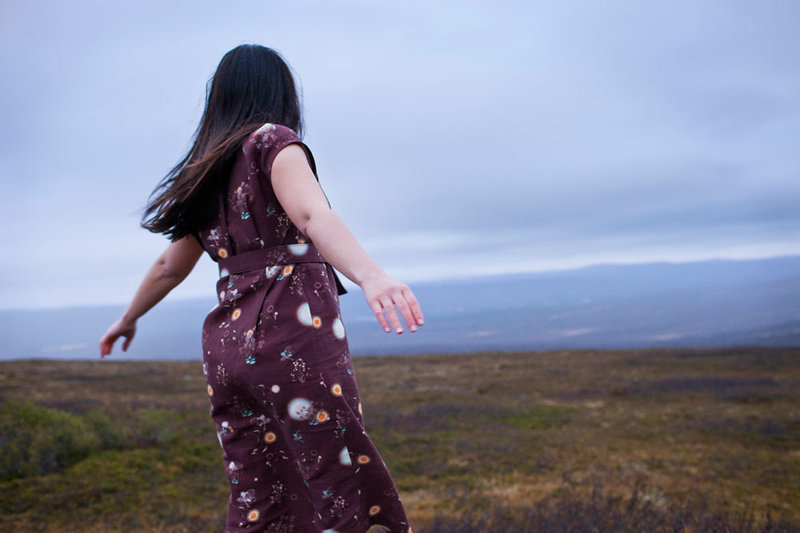 In celebration of their ten-year anniversary in 2012 Vainio.Seitsonen collaborated with Sámi-born photographer Marja Helander to interpret the Lappi collection by means of photography. It was also the first time Vainio.Seitsonen implemented custom-made print fabrics in their collection. Two of the prints of the SS 13 collection resembling the flowers and nature of the Nordic fells were inspired by Helander’s photographs of a Sámi herbarium. Vainio and Seitsonen are FCINY’s artists-in-residence in March. The designers wish to establish contacts with local showrooms, be inspired by the Fashion District and reach out for possible retailers for their collections.